Remember the eclipse? His SUV brother is born. Front foggies seems too big though. Remember Mit used to say they may evo their SUVs (somehow they retracted that statement recently). Maybe this is the model they are referring to. Wonder if this will arrive in SG. Why insert 2 dustbin in front. Everyone is trying to be Citroen C4 Cactus, but failed miserably. Hyundai kona still looks ok but this totally ruined it. But why does the rear looks so much like the Prius? Edited by Brass, 22 December 2017 - 11:34 PM. While a turbo engine can give an initial burst in acceleration, how long can a car on steriods sustain before it runs out of breadth? Think of Ben Johnson. If the turbo decides to retire prematurely which is common, you must plan to burn a big hole in your pocket. 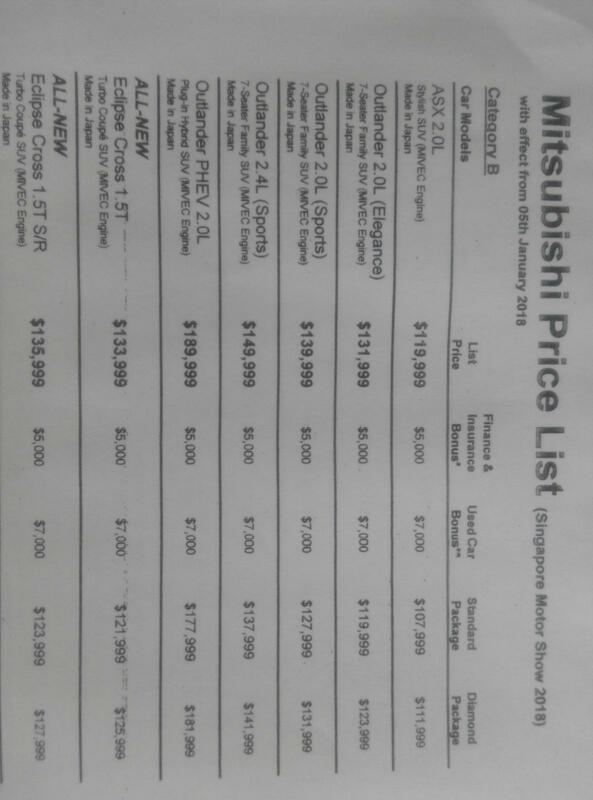 I would take the Japan made Subaru Forester 2.0 and save $20K. Edited by Vinceng, 14 January 2018 - 11:51 AM. That Forester at $20k cheaper is the non turbo one n as such u shld be comparing with the turbo Forester which is more ex than this Eclipse Cross. Would this cannibalize the sales of the ASX? Maybe not...it will die instead with its crappy pricing. Mitsubishi needs a sports car to make it interesting. Even a hybrid or EV FTO like sports car to compete with the GT86 and BRZ. In this case, the Mitsubishi is closer to Fna as power of engine is similar. 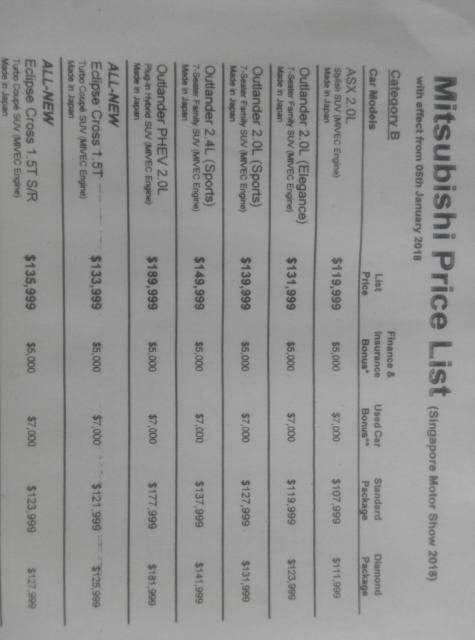 But power to weight ratio , Mitsubishi wins. Forester N.A with 148 bhp is a closer comparison than the XT turbo which has 238 horses and is a class above from the Eclipse's 161 horses. The Harrier 2.0 turbo might be a better comparison with the Subaru XT. Edited by Vinceng, 15 January 2018 - 08:50 AM. I do see your point but it’s also unfair to compare a NA car v turbo one n to compound matters 2 litre v 1.5 litre. Even price range is not anywhere near. 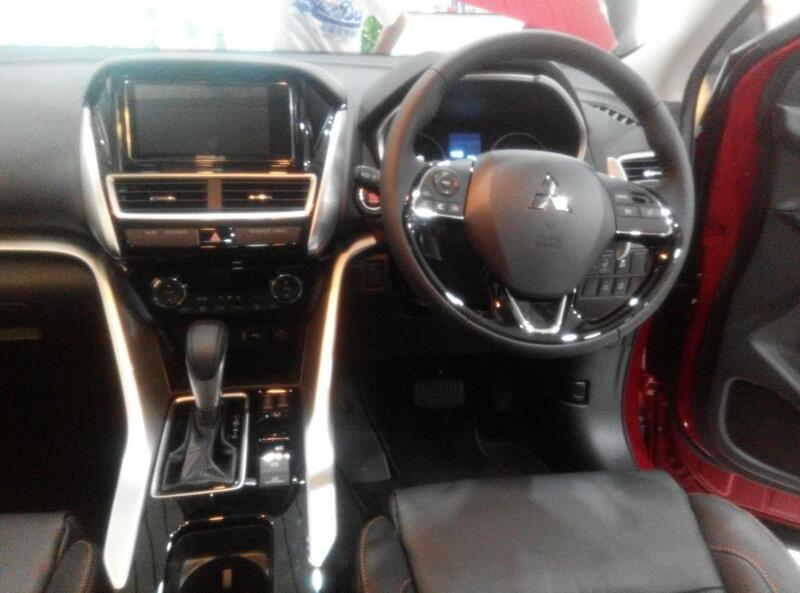 In fact the FXT price is closer to Eclipse Cross. If you compare Forester XT 2.0 turbo with Eclipse 1.5 turbo, it's a no brainer that the XT wins hands down in all aspects. Edited by Vinceng, 15 January 2018 - 08:53 AM. Got to agree with u on this and even price wise, 2litre FXT costs just abit more than the Eclipse. I suppose C&C feel there is a market for this car and shld have done their homework cos they are obliged to sell a certain number n the Forester is a tough competitor to beat for sure. 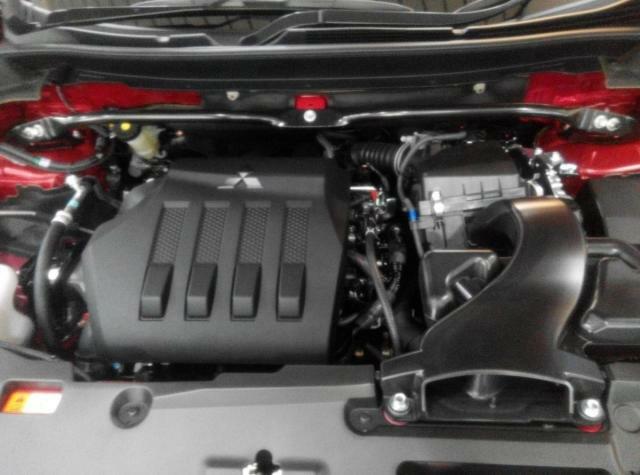 Its been a long time since I last saw a sub 170 hp car comes stock with front strut bar. Edited by Sugimoto, 15 January 2018 - 12:23 PM. Price for Eclipse Cross Went up after COE bidding.